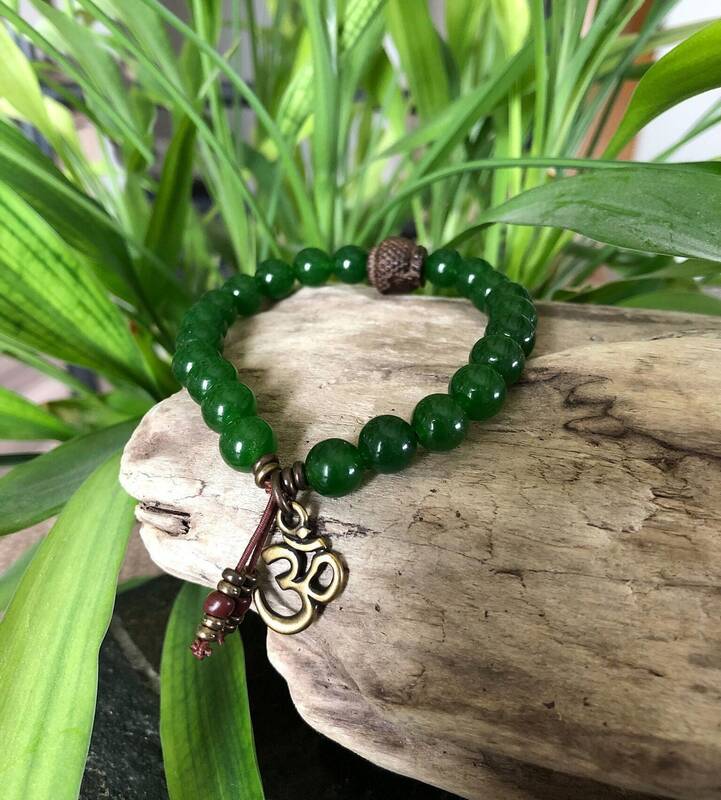 The Men’s Spiritual Wealth Mala Bracelet features gorgeous deep green Jade gemstones along with a carved driftwood Gautama Buddha head and an antique brass Om charm to help you manifest whatever your heart desires, both materially and spiritually. Jade is known throughout the world to magically attract abundance of all kinds. Jade is said to bless whatever it touches, serving mankind across the globe for nearly 6,000 years. It has been used around the world to attract love and money. Resonating with the heart chakra, it infuses love, harmonizes relationships and attracts new friendships. 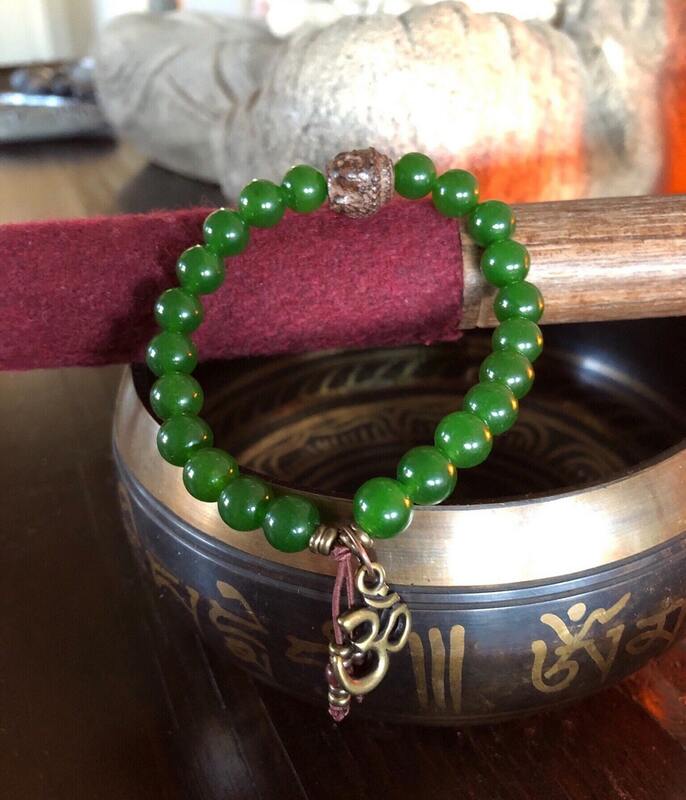 The monoclinic crystalline structure of Jade produces constant pulsating energy and continual expansion and contraction, therefore promoting action and growth. It is an excellent stone to enhance self-sufficiency, confidence and business success. 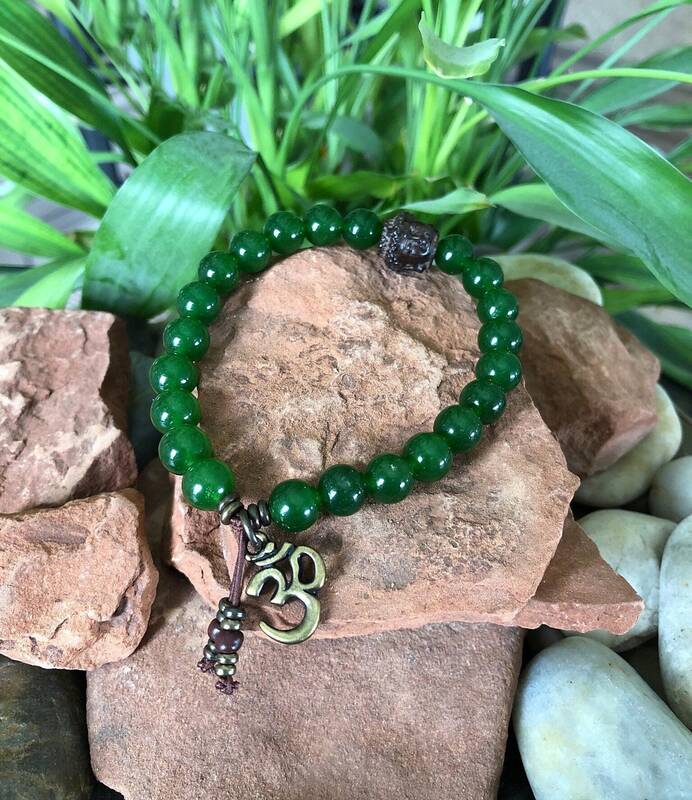 Historically, Jade is also known as the ultimate "dream gemstone," revered in ancient cultures, as well as today, to access the spiritual world, encourage creativity, stimulate ideas and dream-solve. 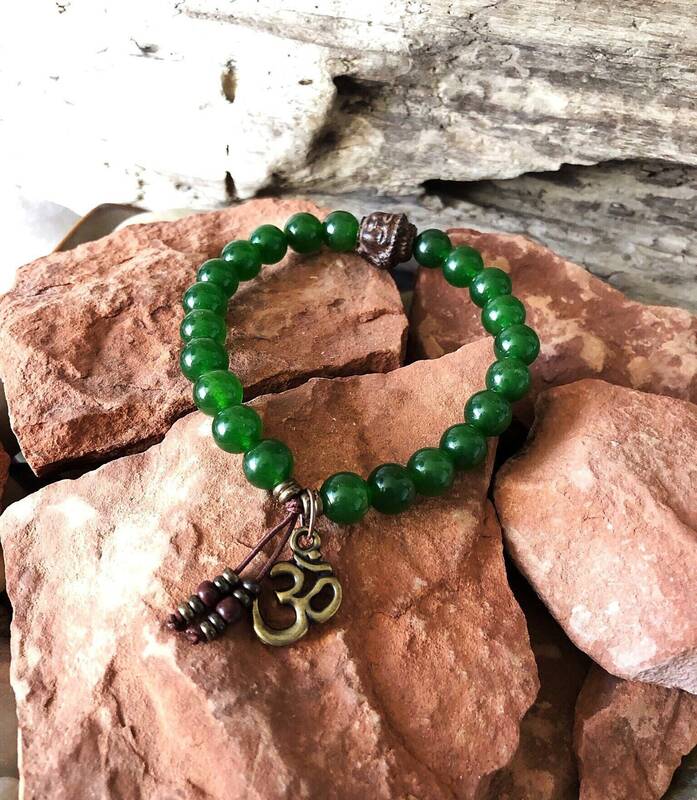 Wear this bracelet to invite more abundance into your world and to guard against accidents, illness and misfortunes. 8mm high grade gemstones, strung on strong elastic stretch cord. One size fits most wrists. Custom sizing is available. *As with most natural gemstones in the jewelry industry, these Jade gemstones are dyed to enhance color. The treatment is stable and not does not affect the structure, integrity or vibration of the stones.